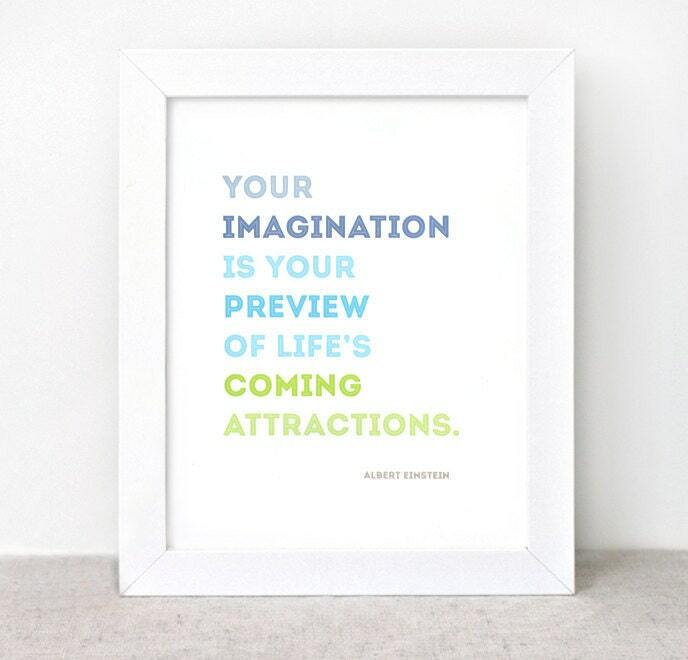 "Your imagination is your preview of life's coming attractions." This typographical art print features this Einstein quote in happy spring & summer colors with words broken into sections in shades of muted gray / blue, sky blue, fresh lime green, and a small bit of brown. Great reminder for creative people and those who need a little jump start! Perfect for an upcoming graduate! 100% post consumer fiber.